If you are image-conscious, stained teeth can really hit you quite hard. Those pearly whites that are not so pearly or white anymore are one of the most common complaints that dentists have from their patients. Although the natural color of teeth is actually light yellow with a hint of red, we have become accustomed to white teeth as being the sign of a healthy smile. Teeth are a very important part of how we are seen by others, and like they say, a smile is really one of the easiest things we can do to appear confident and make a positive first impression. Yellow or stained teeth can negatively affect one's confidence and may even result in embarrassment for those people whose livelihood depends upon looking perfect. One of the most common causes of stained teeth is tobacco. Teeth are porous and they can absorb the nicotine contained in tobacco products. Whether it is chewed or smoked, tobacco is one of the leading causes of stained teeth. Other causes of stained or yellow teeth are colored drinks, such as cola, tea, coffee, fruit juices (especially grape), and red wine. Certain foods, such as blueberries or other fruits with lots of pigment, can also increase the chances of yellow teeth. Certain medications can also lead to yellow teeth. For example, antibiotics such as tetracycline and doxycycline are known to stain teeth, especially when given to children whose teeth are still developing. Some ingredients that are found in mouthwashes and rinses such as chlorhexidine and cetylpyridinium chloride can cause the teeth to stain. Antihistamines (such as Benadryl), antipsychotic drugs, and antihypertensive medications also cause tooth discoloration. Age is also an important factor in how white your teeth appear. As we age, our teeth will begin to darken since the surface enamel begins to erode, which reveals the dense, color-absorbing interior of the tooth called dentin. 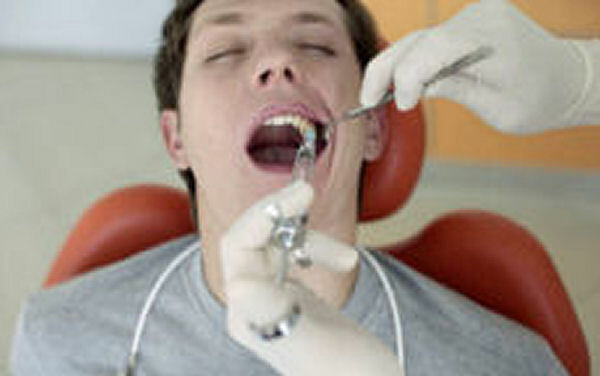 Excessively hard scrubbing or brushing can wear out tooth enamal prematurely, leading to darker teeth. Plaque and tartar buildup can also make our teeth appear more yellow by allowing stains to latch into tight areas between teeth and near the gums. Fortunately, many stains that are caused unnaturally, such as those from colored beverages or cigarettes, can be improved using the following teeth whitening home remedies. Baking soda is known to help make teeth appear whiter since it helps to scrub the surface of the teeth without damaging tooth enamel. This is one of the reasons why many toothpastes advertise their baking soda content. A simple home remedy is to mix baking soda with hydrogen peroxide and use this mixture as a toothpaste. The hydrogen peroxide acts as a bleaching agent, and it also helps break down stain-absorbing particles between teeth, allowing them to be easily rinsed away. Add a few drops of hydrogen peroxide into a small cup. Add one tablespoon of baking soda. Mix together until a paste is created. Add some of the paste onto your toothbrush, and brush your teeth gently. Rinse your mouth, and then brush your teeth using a regular toothpaste with fluoride. Use this remedy once per week, and you should start to see results within one month. It is important to avoid using this remedy on a daily basis, since the abrasive properties of baking soda can wear down the enamel on your teeth. Rinsing your mouth with water right after you drink soda, coffee, tea, or any flavored and colored drink is one of the best teeth whitening remedies. This prevents the color from building up in your teeth, which is one of the leading causes of yellow stained teeth. Brushing your teeth after every meal is an even better idea, but water is excellent since it is much more convenient than carrying around a toothbrush. Use some simple remedies and treatments for relieving toothache pain. Discover some of the best foods to eat after having your wisdom teeth removed. Good remedies! Apple cider vinegar, and lemon + baking soda also helps! Thanks for this teeth whitening tip! I've heard of using baking soda to make your teeth whiter, but I've never heard of doing it with hydrogen peroxide! I'll have to give that a try sometime. Did you know banana peels can also whiten your teeth? It's a pretty quick trick, definitely worth doing it once or twice a week. Sodium Bicarbonate. You might be able to find it in grocery stores in baking supplies aisle. Hope it helps! What is baking soda? Is it bicarbonate of soda, because I can't find baking soda. Baking soda and strawberries. Crush strawberries and mix it with baking soda to make a paste. No! Do NOT use lemon juice! That will damage your tooth enamel cuz of it's high acidity! Not to mention over time it breaks down yOur tooth increasing your chance of getting cavities! 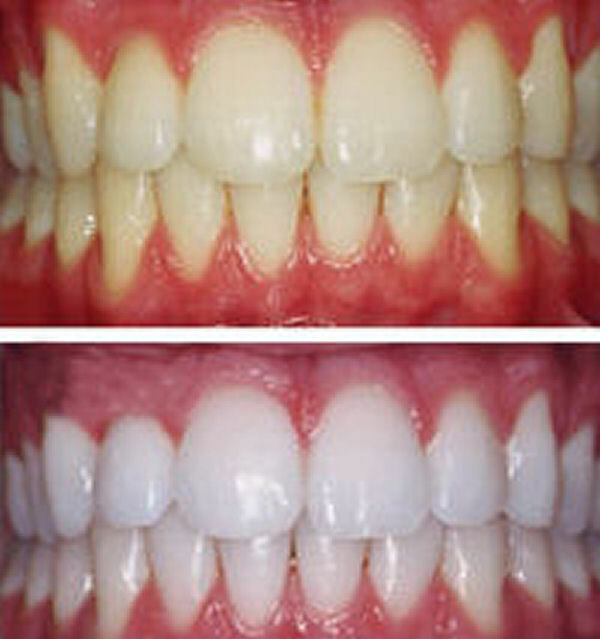 i really a home remedies that will work like magic for my stained teeth. plz...................... help. mix lemon juice and salt into a paste and brush before bed.